From the heavens come a bounty of new skins and emotes! For a scant few weeks, Overwatch players can relive the magic of wave-based co-op shooters. 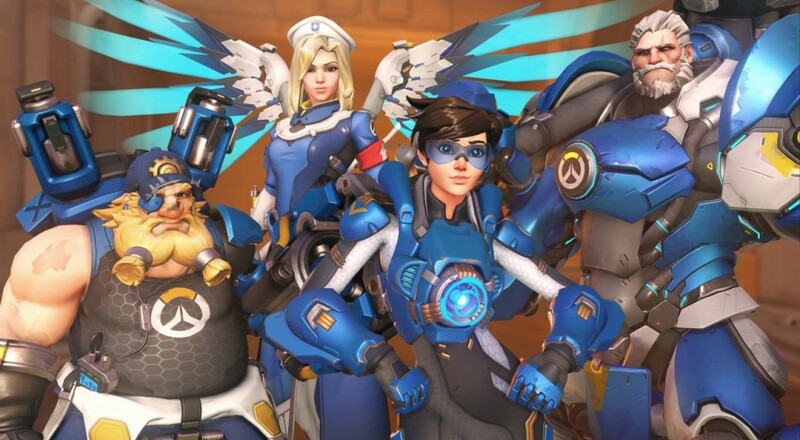 Following community feedback, which expressed a desire for both lore-specific seasonal events and co-op gameplay, Blizzard delivered the Uprising event. The Uprising brawl can be played one of two ways: the normal version, in which players use one of Tracer, Torbjörn, Mercy, and Reinhardt to fend off the enemy bots, and the "all heroes" version, in which any of the current roster can be chosen (with a limit of one per team). Alongside this, players can attempt to complete the mission on four escalating levels of difficulty. As always, the event includes a large number of limited-time items, including voice lines, sprays, skins, and emotes. It's been going for a few days now, so if you want any of them, you'd best get to brawlin'.